When we accept Jesus as Savior, God welcomes us into His family and as any earthly family each has a DNA, has a culture but it also has principles by which such a family runs. In our new family we have many principles and our enjoyment in this family is when we learn how that family operate and willingly accept to abide by those principles. 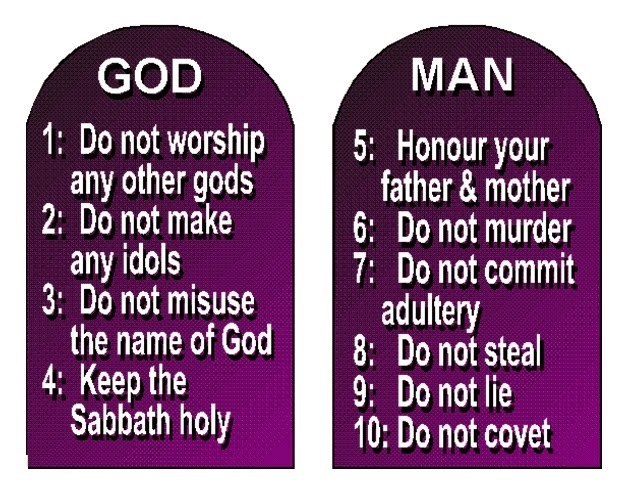 One of these is the principle of putting God first. 19 The first of the first fruits of your land you shall bring into the house of the Lord your God. 9 And the Lord spoke to Moses, saying, 10 “Speak to the children of Israel, and say to them: ‘When you come into the land which I give to you, and reap its harvest, then you shall bring a sheaf of the first fruits of your harvest to the priest. This is also called the principle of the first born. 1. The Lord required the Jews to offer their very best. The farmer had to carefully look in the garden to prepare a sheaf that was the best for the Lord. If it was animals, it was the first birth from that cow or sheep but it had to be with no blemish, if it was found sickly the farmer had to redeem it with another good animal. 2. This was a prayer of faith for a bumper harvest. It was the very first, which meant, by faith the farmer was saying I am trusting, the rest will be good. It was like saying Lord watch over my harvest. 3. Their giving of the first was consecrating the rest of the crop/ flock to God. When you gave your first it represented a dedication of the rest of the crop or the flock to God. Saying: I am asking you to put your hand of blessing upon my animals, my business and my crop. 4. It had to be the first. First meant before you did any eating or selling, you had to go to the Lord’s house and take the First fruit. Today not many of us are farmers, or cattle keepers. Our jobs, our business, our investments are equivalent to our gardens or flocks. The people of old traded in animals, in crops, in bars of gold or silver, but today we trade in money. This principle today applies to our money. When we come to God with what he has given, we are saying. Yes, you are my God, what I have, I got it from you, you gave me the energy, your provided the health, you gave me the wisdom. Giving is worship of the highest order. When we let go of our money we are breaking a spirit of false trust and security in what we possess and we are releasing a spirit of total dependence on God. Which an amazing attitude of worship. IT IS SAYING; WITHOUT YOU, I AM NOT ABLE, GOD! a. Possessions, wealth, everything I own. b. He gave them to me. He has the power to increase them or to remove his hand of protection from them. 3. He wants the first and the best. He is number one. Remember the first 4 commandments; it is all about Him and not you. Pastor Robert Morris says: “How you handle money reveals volumes about your priorities, loyalties and affections. Remember Abraham: God had a very big plan for Abraham, he was to be the father of faith. He was to be the first patriarch. He had to test Him and also to teach Him. God was saying: If you are willing to give me your first and best then, I can trust you with my first and my best. If you are willing to give me your best then it releases faith to totally trust me with your future. First is what you get first. First is what you spend first. 4. GIVING OF FIRST FRUIT RELEASES A BLESSING. It is God’s eternal principle. Remember what we said above: The giving of the first consecrates the rest to God. It is like releasing the God’s hand to bless, and protect from the interference of the enemy. 5. Our first fruit is given to the House of the Lord. The way God supports his work is through the faithful giving and generosity of His children. When we bring out first fruit to God’s house, then we become partners with God in reaching the world through Missions, church planting and evangelism. WHAT IS OUR FIRST FRUIT? When you wake up, do you give the Lord the first hour of your work day? What if you did? Can you imagine how God will direct your plans? The early believers decided to worship God on Sunday. This was the day that Jesus rose from the grave, but when you think about it, it is the first day of the week. When I give God the first day of my week in worship it is acknowledging that for sure, God you are first. d. Consistently giving of our tithes. John 3:16 says: 16 For God so loved the world that he gave his one and only Son, that whoever believes in him shall not perish but have eternal life. ICor, 15:20 Paul’s calls Jesus, the first fruit of all who have risen from the dead. God gave His first born but only his first born but also his only begotten Son. Then Jesus wanted to get us to the Father, but we were children who had a lot of blemish/ we not clean, and he needed a perfect clean sacrifice, to redeem us in order to be accepted. So he accepted to be sacrificed to redeem us. But also when God gave, he received many sons and daughters. For whosoever receive Him he gives them the right to become the sons of God. If He gave, we should also give, if he received in return, we shall also receive in return. Our receiving may not be in monitory terms but we shall surely receive.